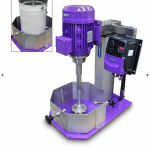 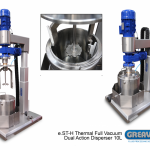 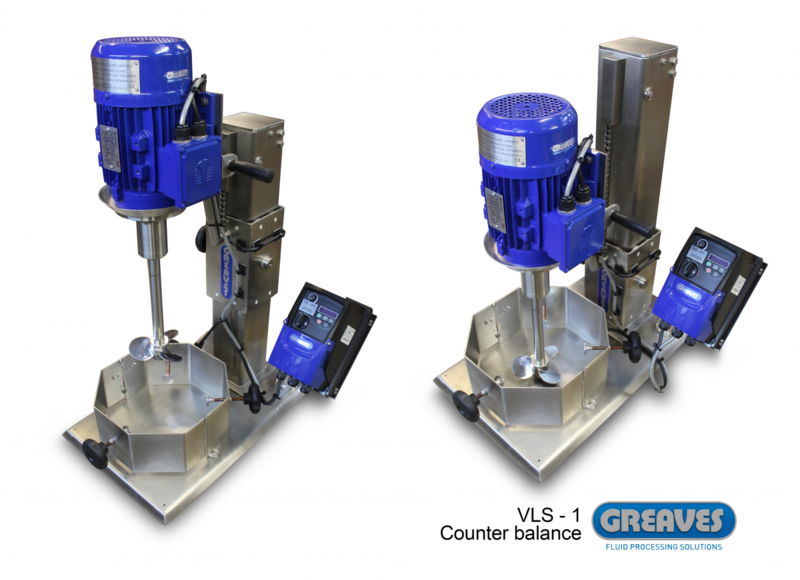 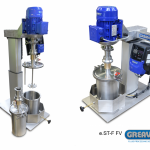 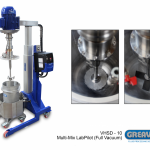 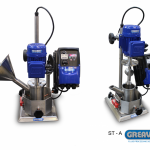 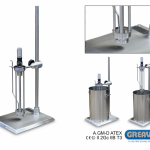 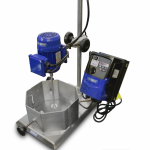 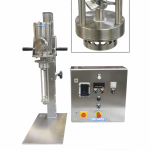 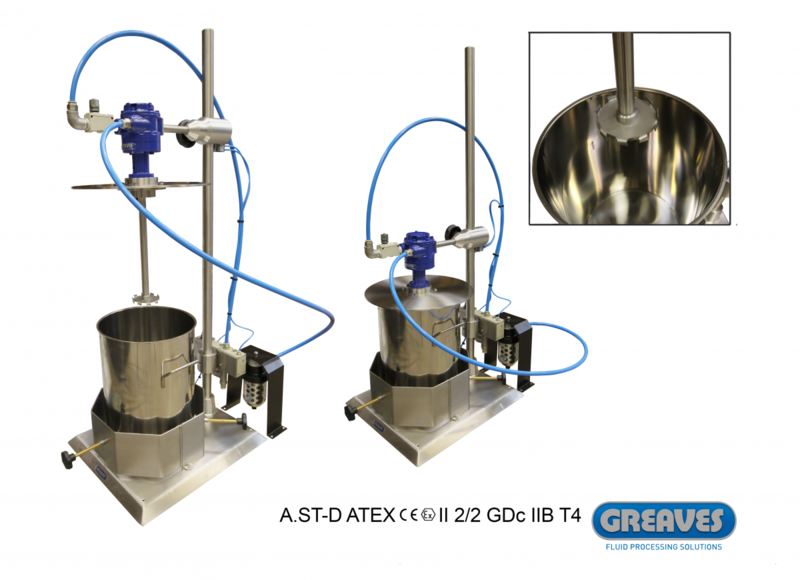 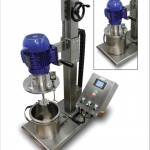 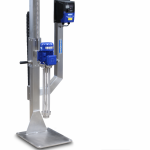 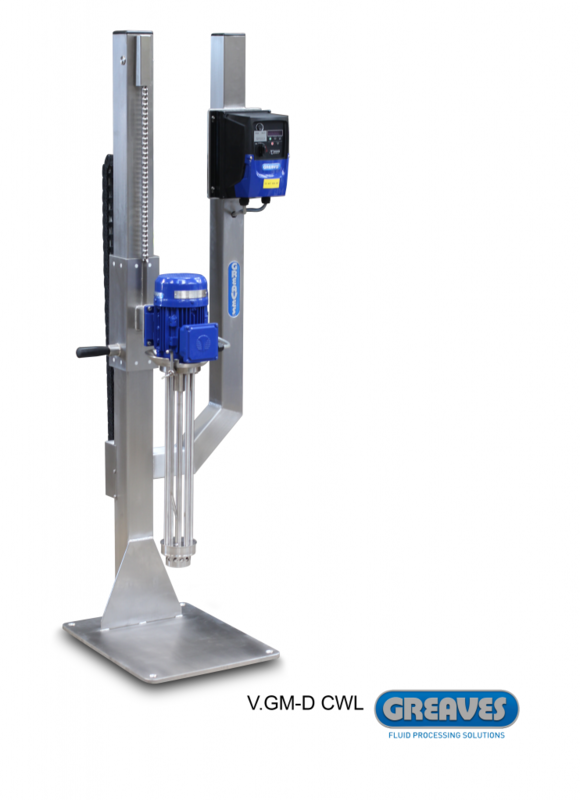 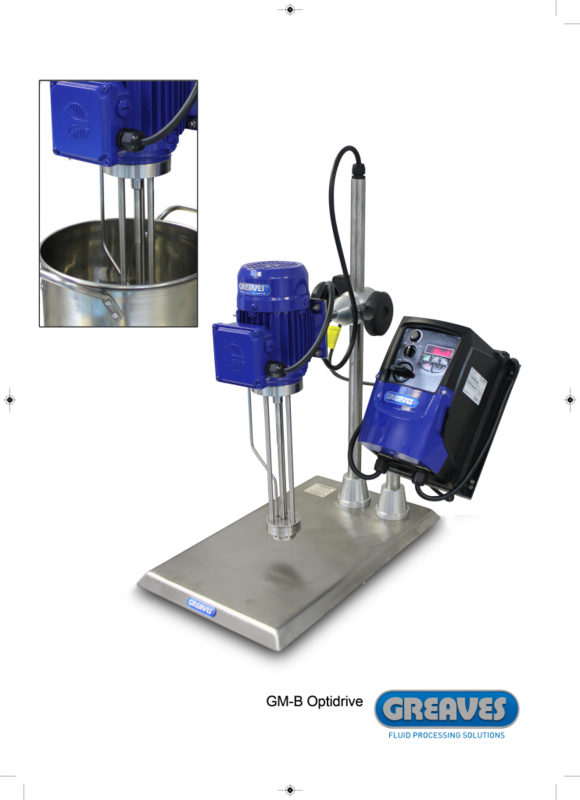 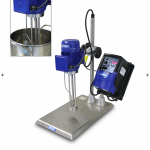 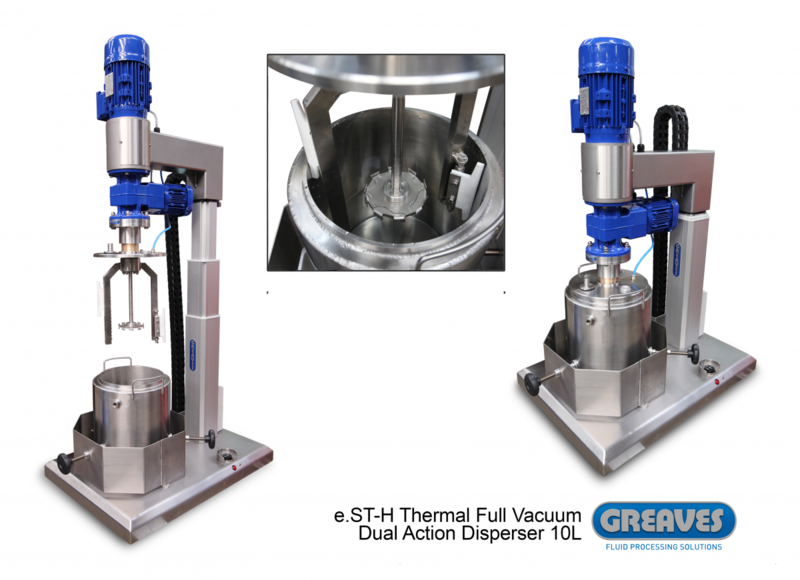 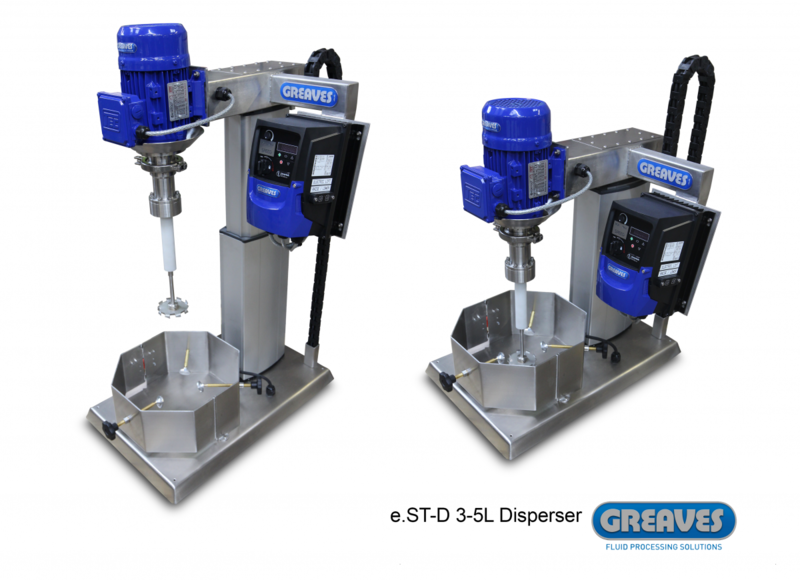 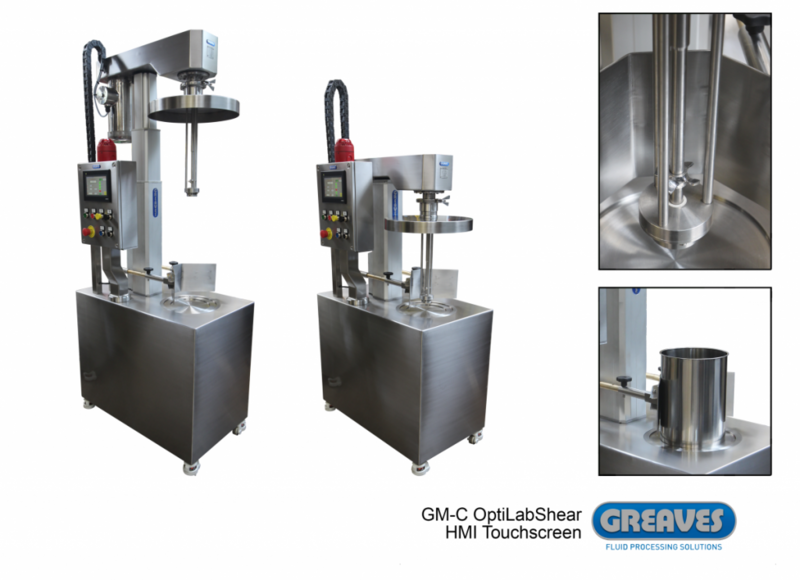 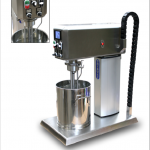 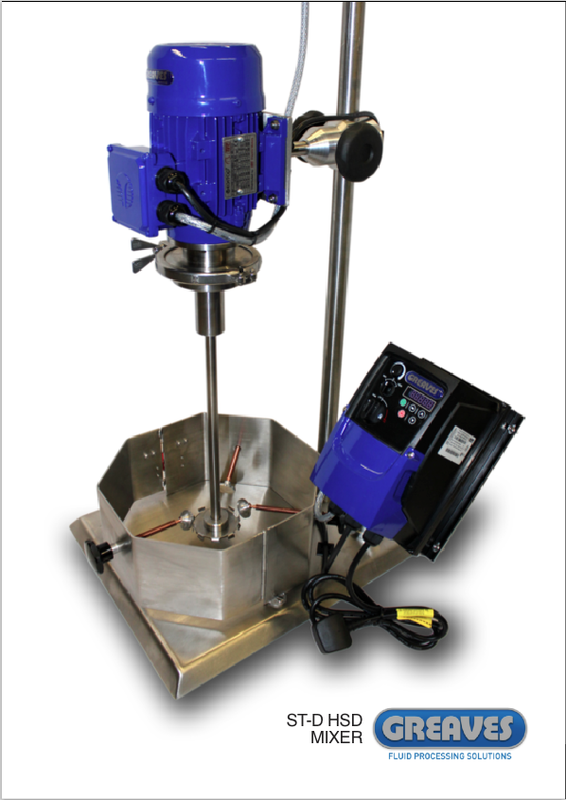 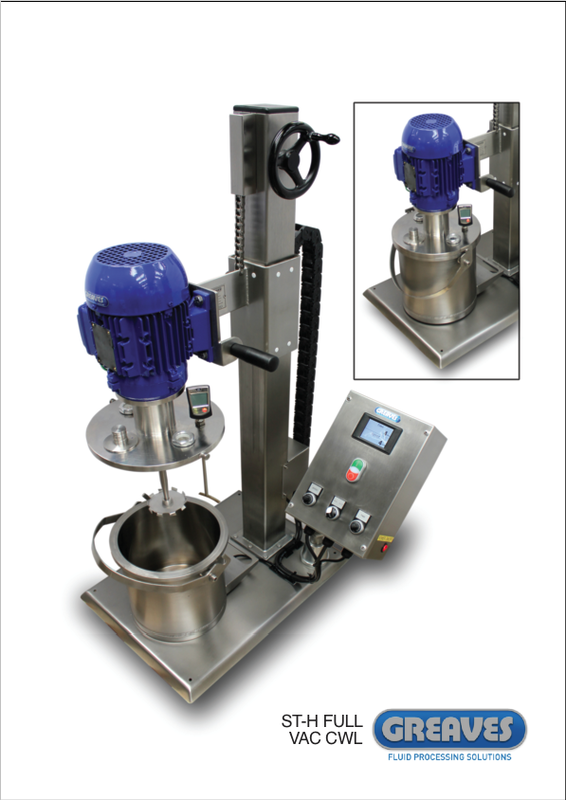 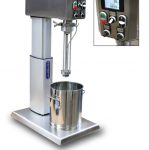 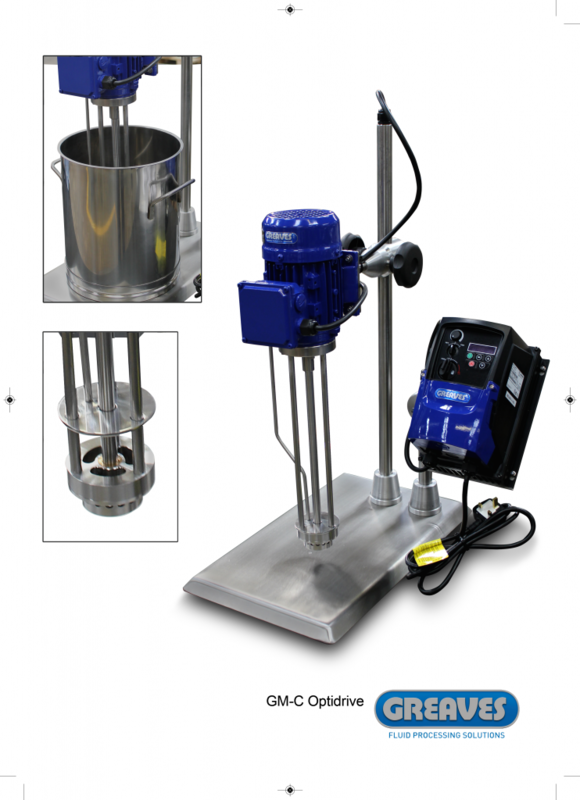 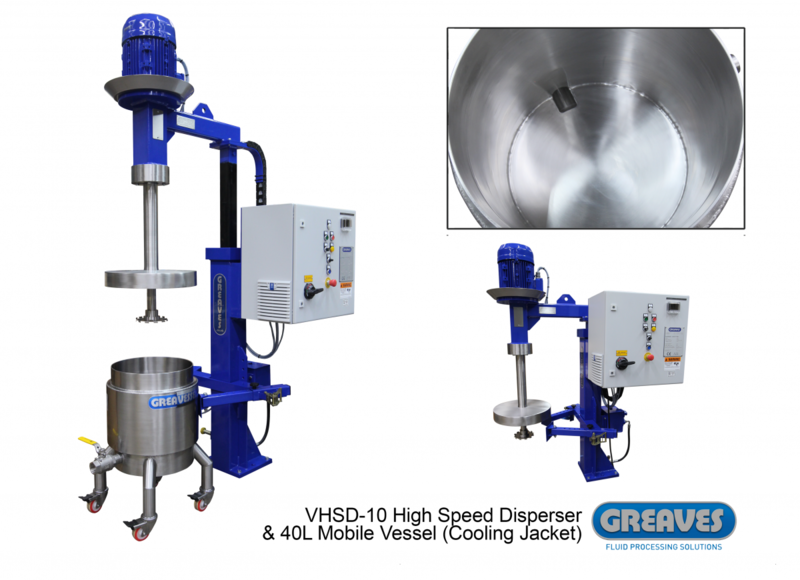 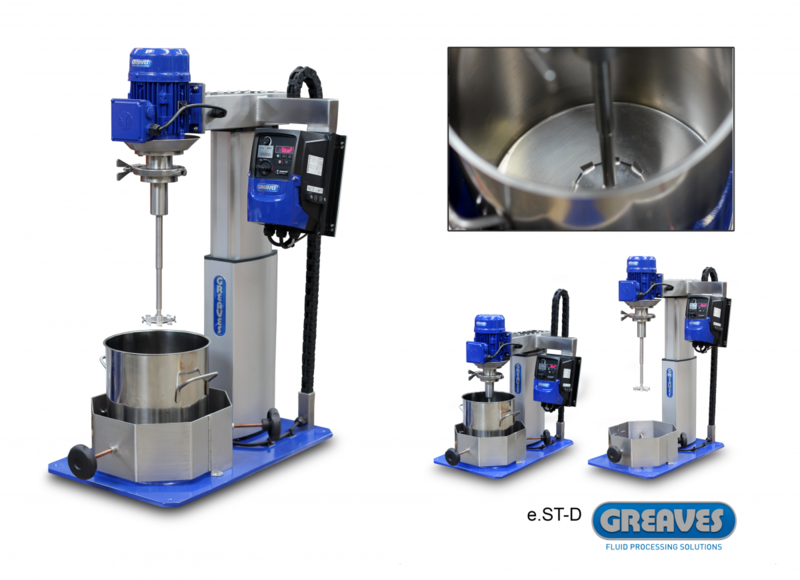 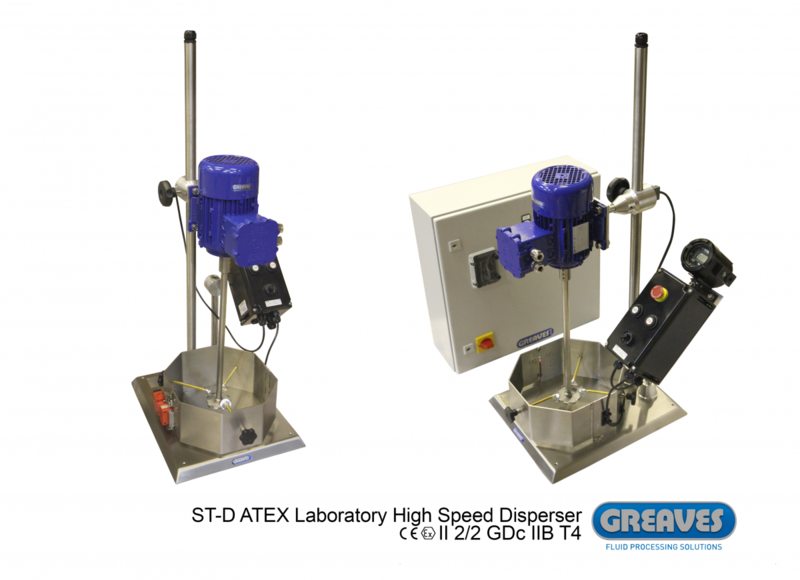 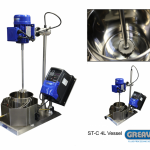 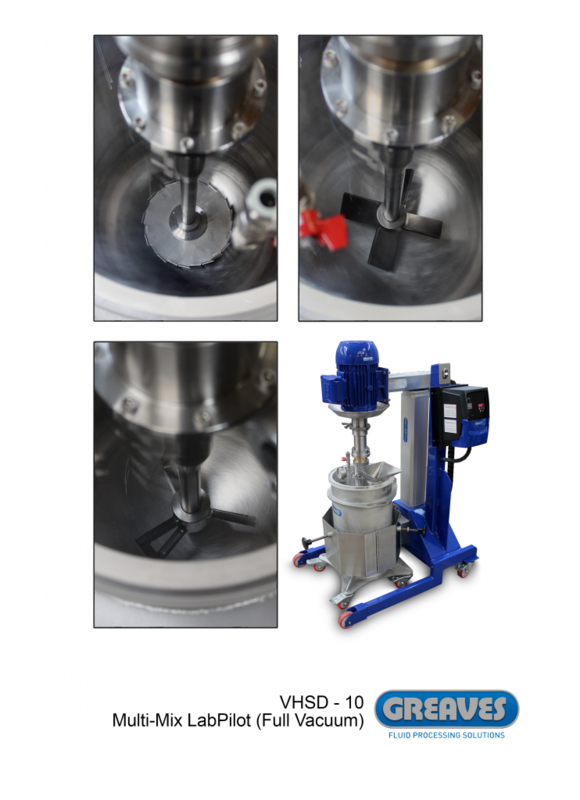 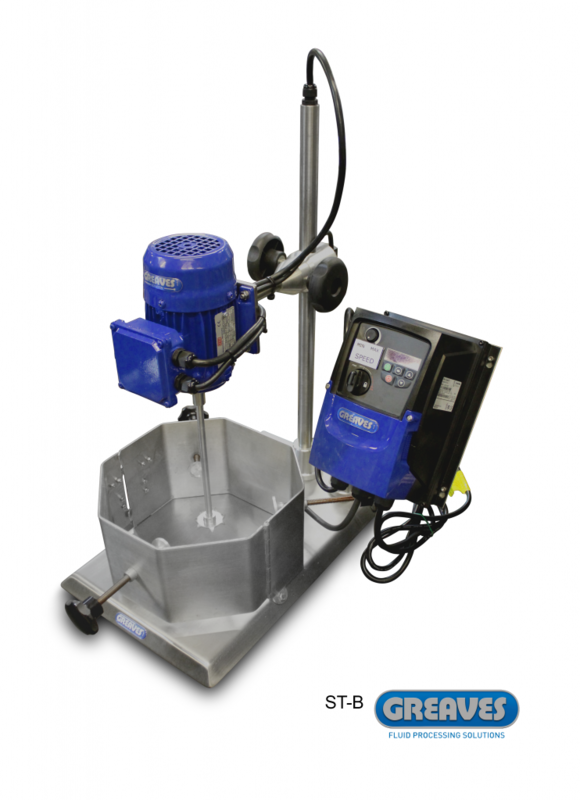 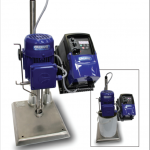 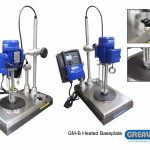 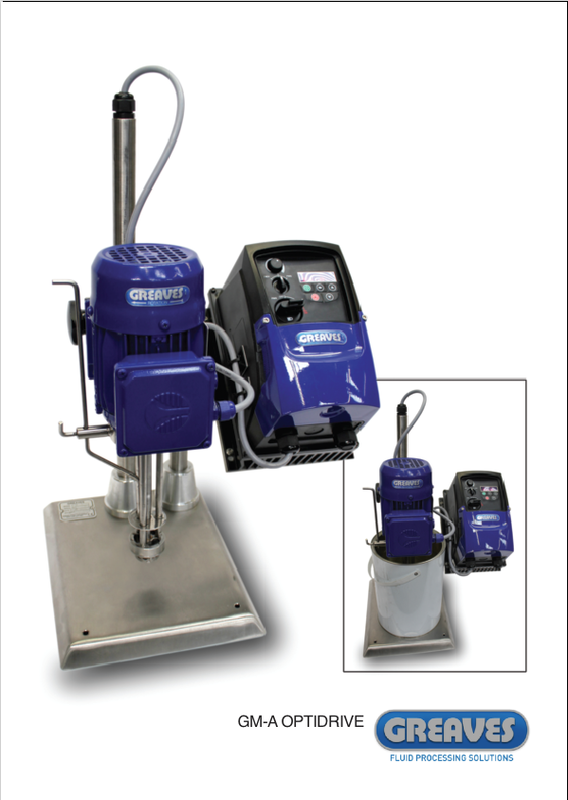 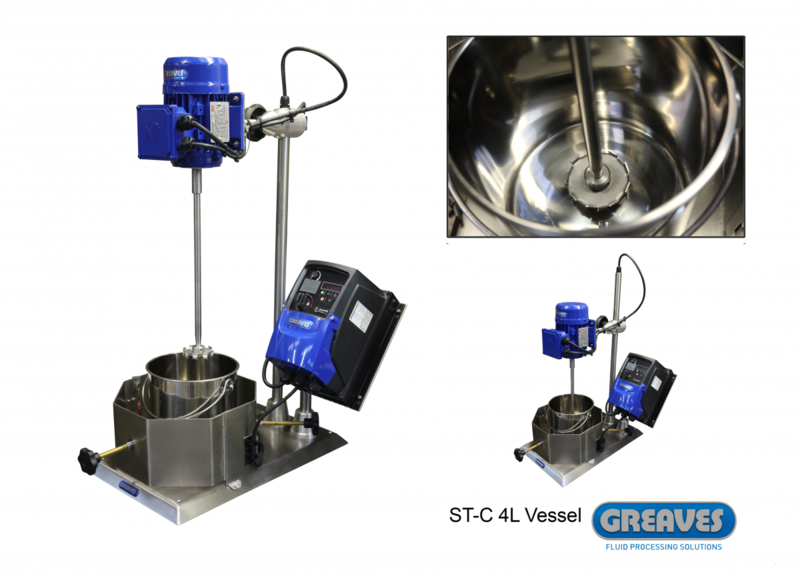 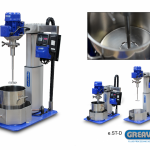 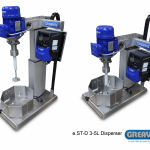 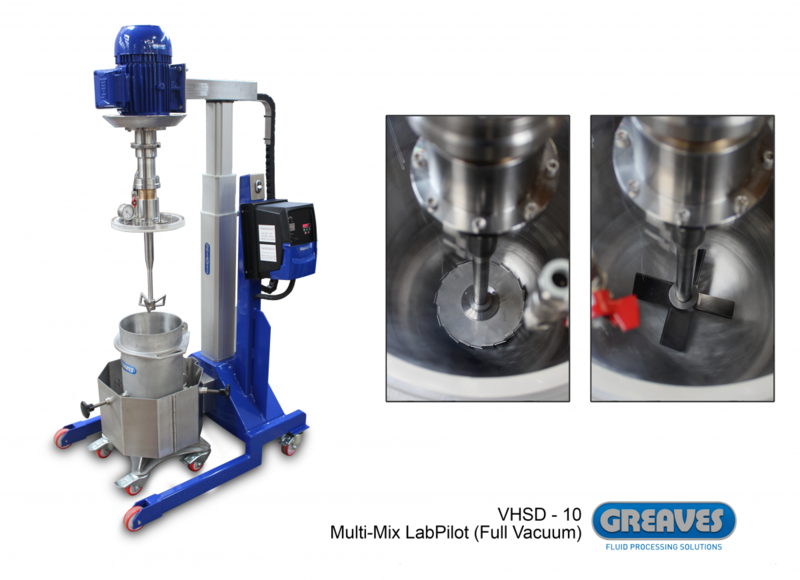 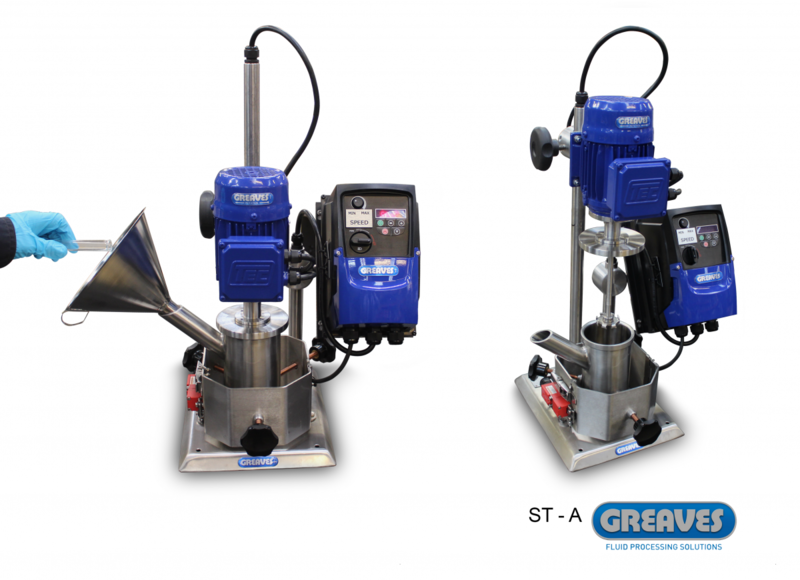 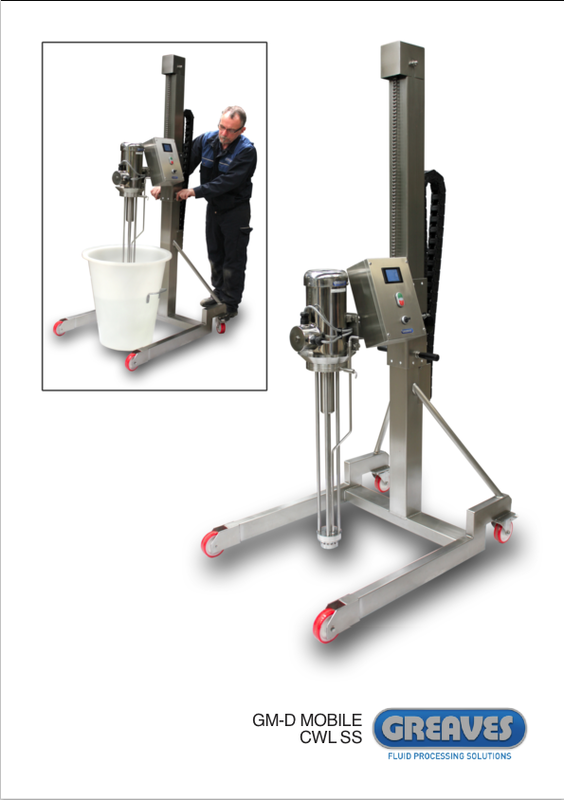 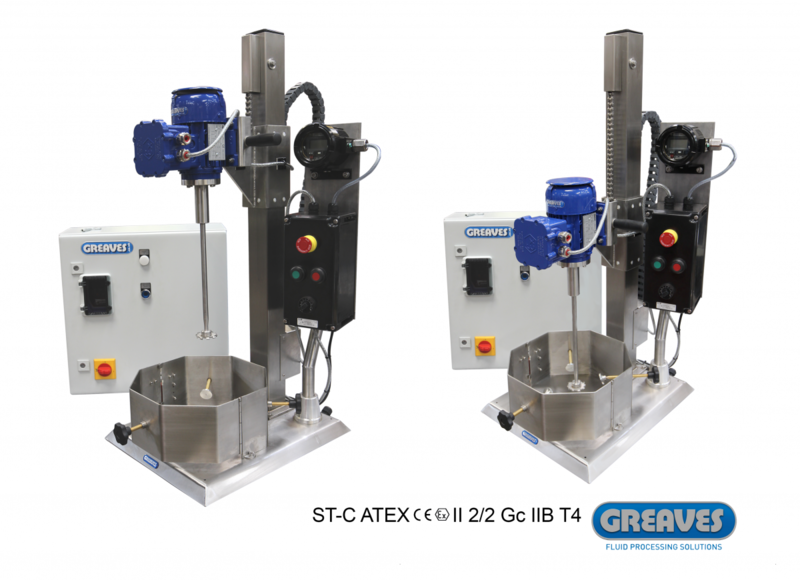 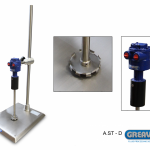 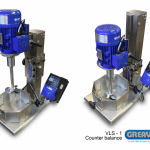 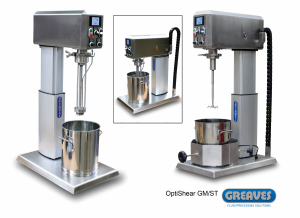 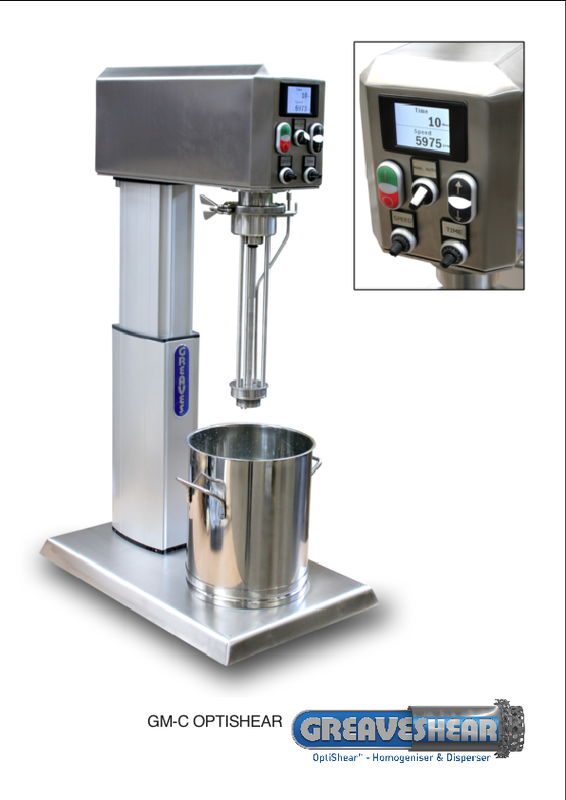 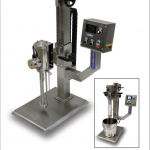 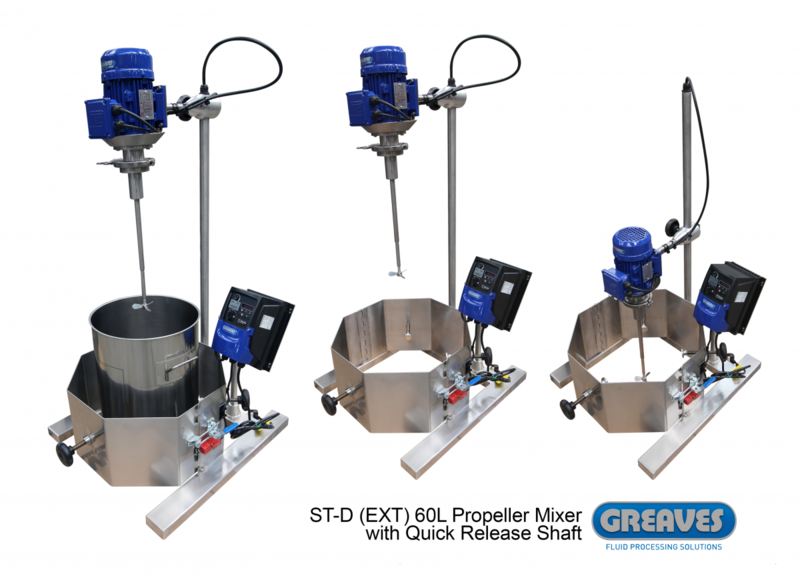 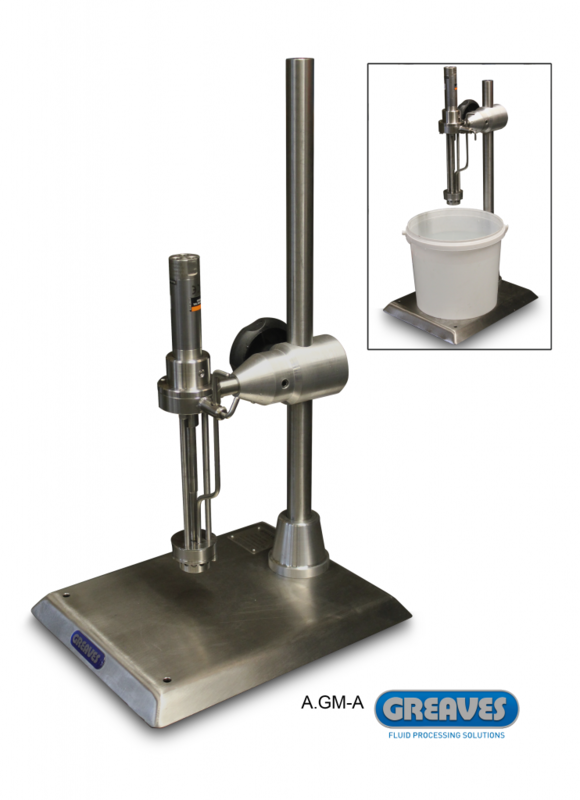 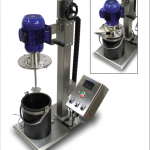 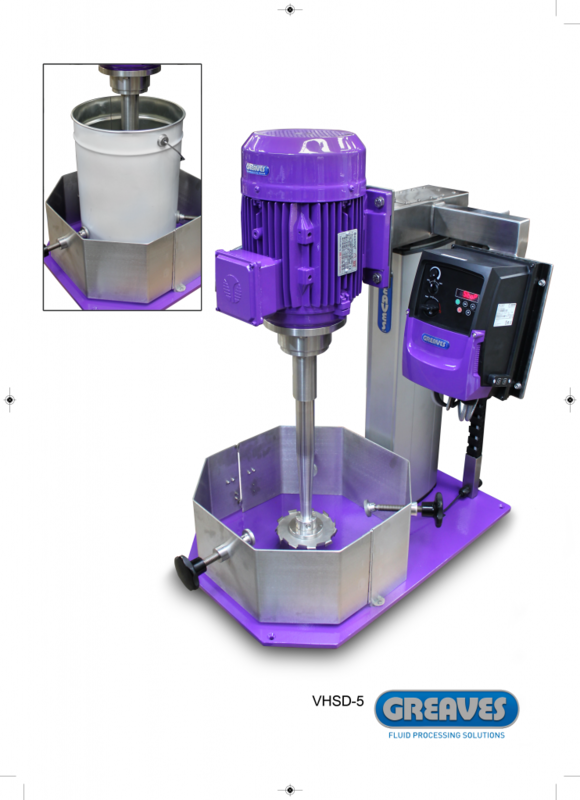 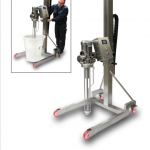 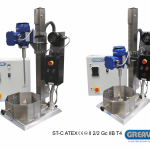 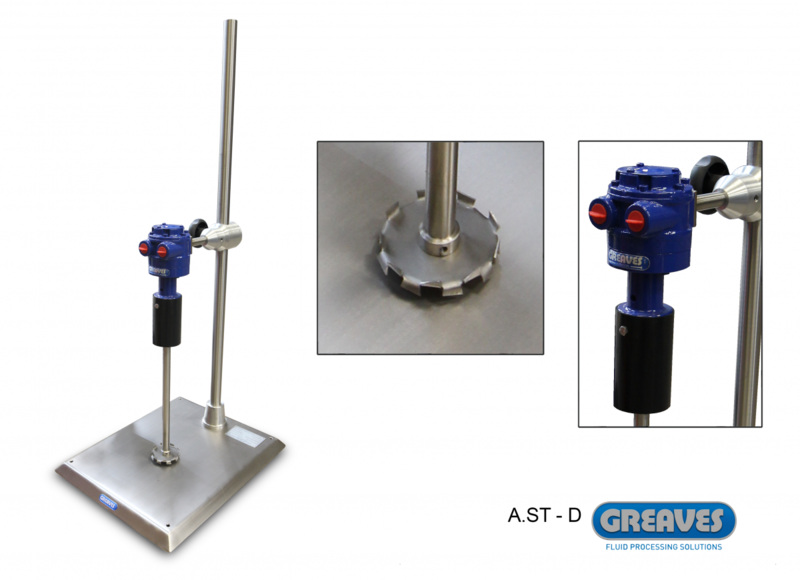 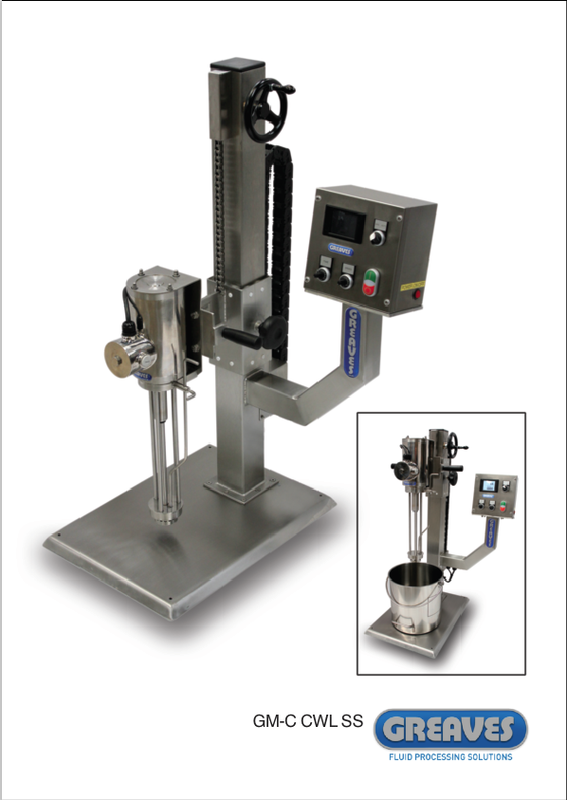 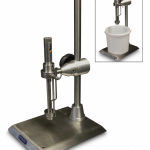 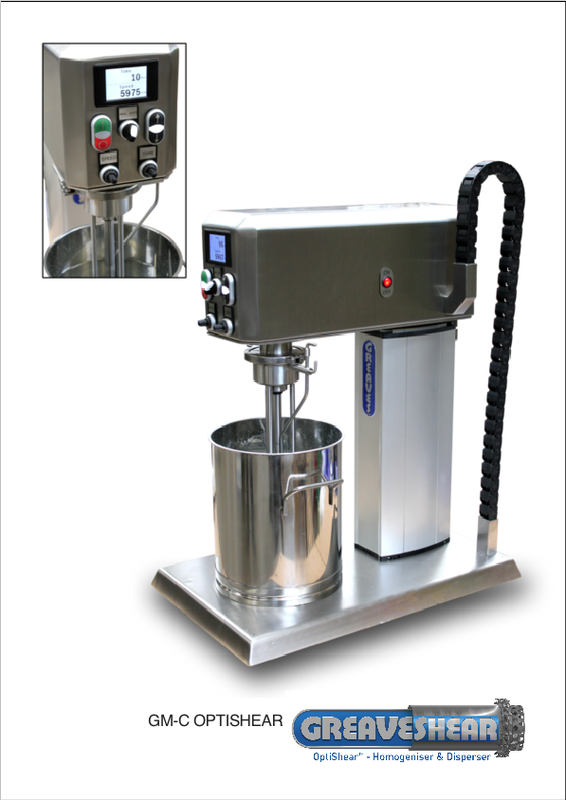 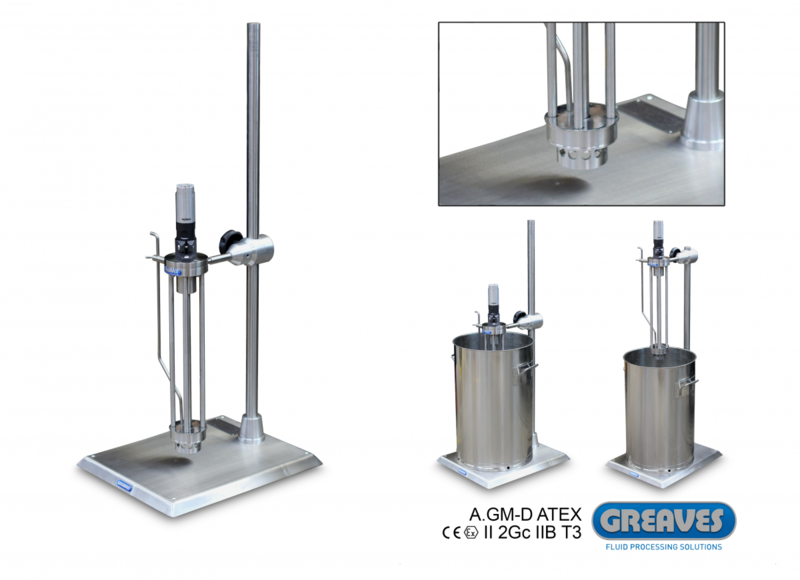 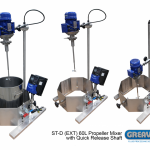 Greaves offers a complete range of high shear laboratory mixers, ensuring confident upscaling of laboratory recipes to pilot and bulk production. 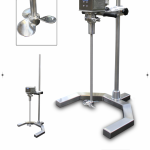 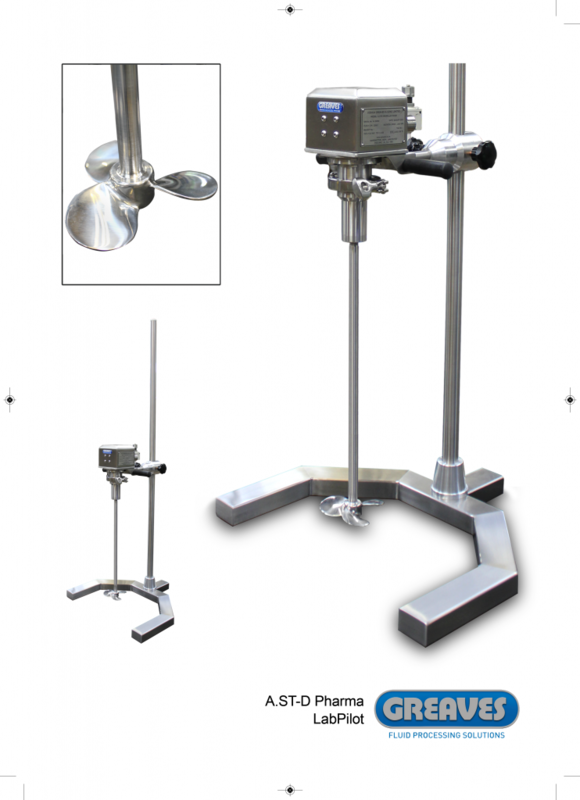 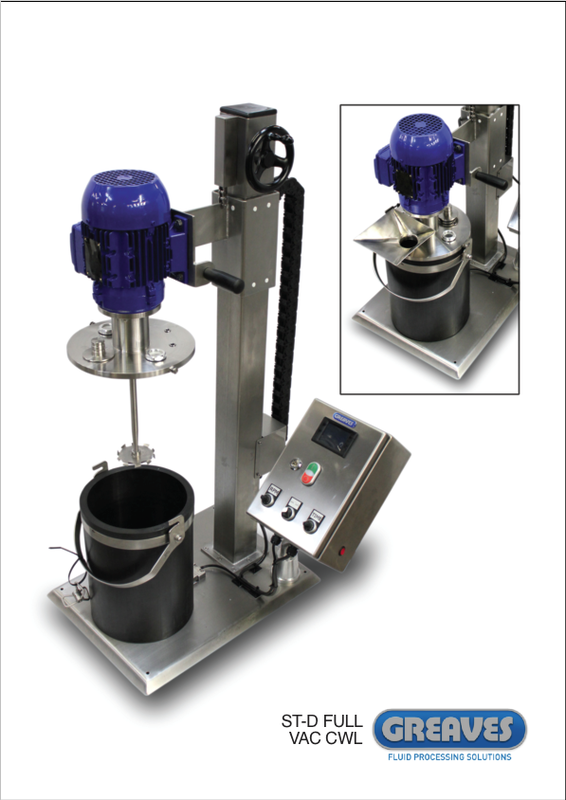 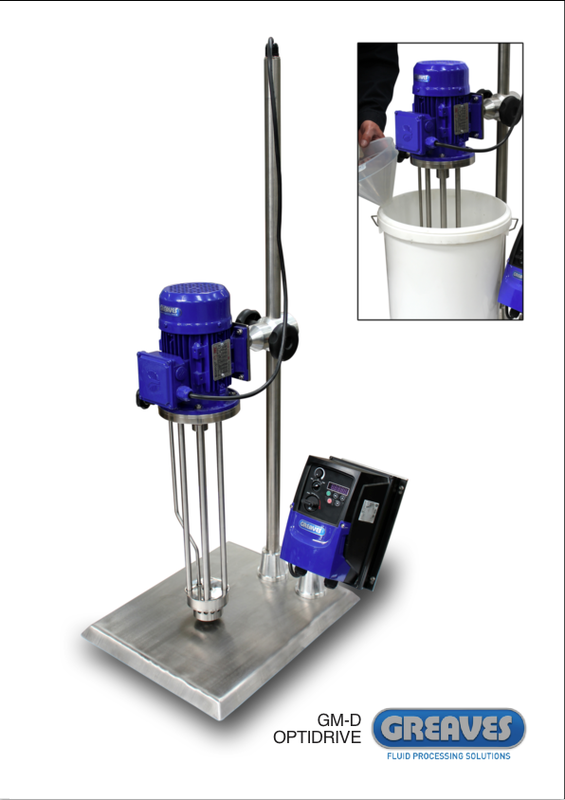 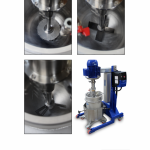 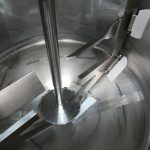 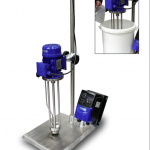 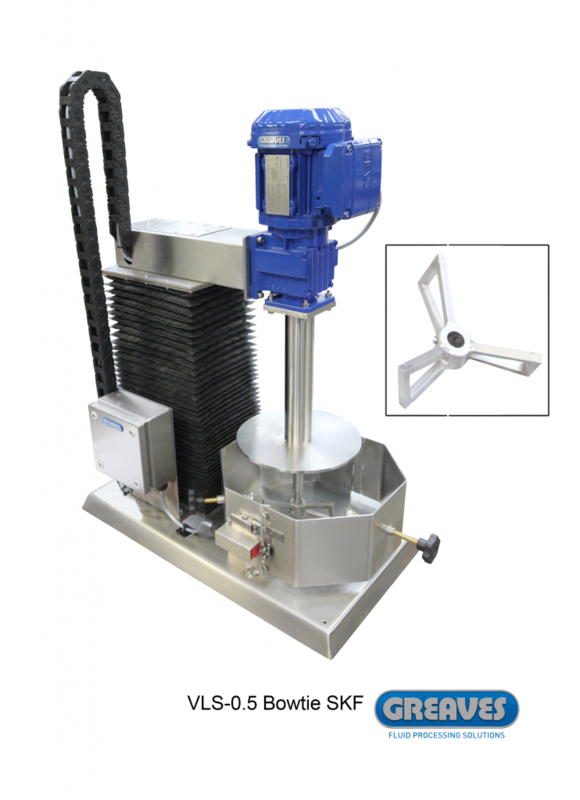 Likewise the design and construction of down-scaled laboratory mixers allow accurate research and development to be implemented before production scale replication occurs. 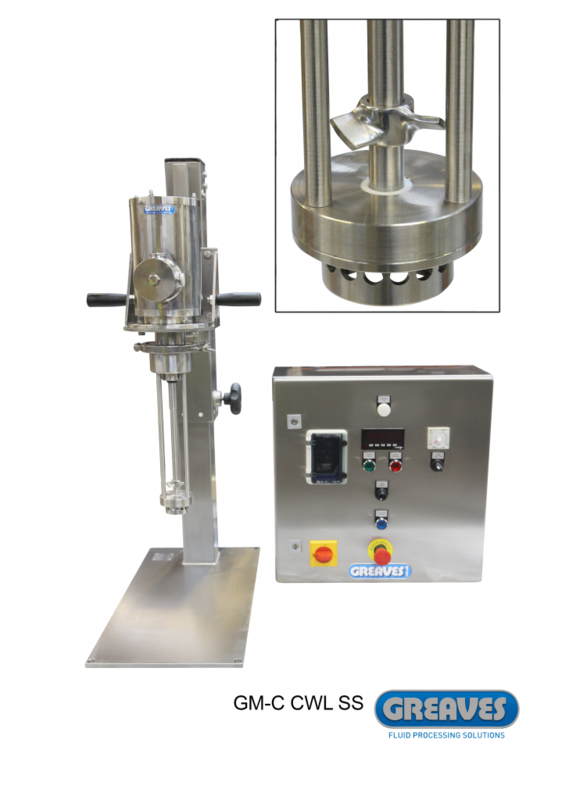 All lab machines are manufactured in house to the same high quality standard as their “big brother” production counterparts Laboratory systems can be supplied with heating and vacuum/pressure facilities and all impeller and mixer types employed in full scale solutions. 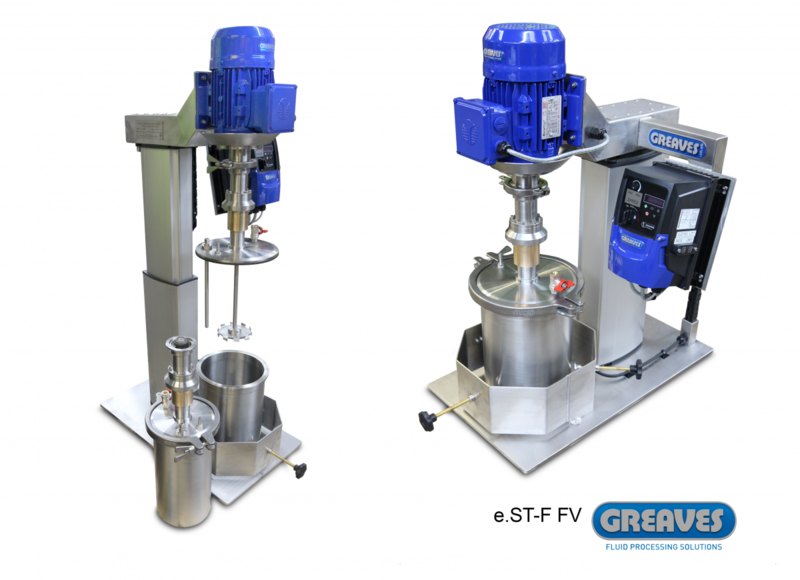 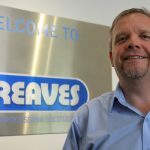 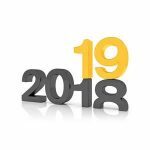 Greaves will also design and manufacture bespoke high shear, Archimedes or spiral type blenders to propeller units according to each client’s specific requirements. 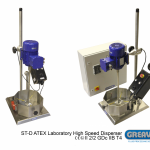 Lab units can be supplied with alternate Air and electric drives – single or 3 phase, according to client preference. 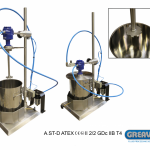 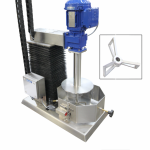 ATEX rated electric and air driven units are available including pressure and vacuum rated mixing pots with suitable sealing and often for the creation of inert atmosphere processing. 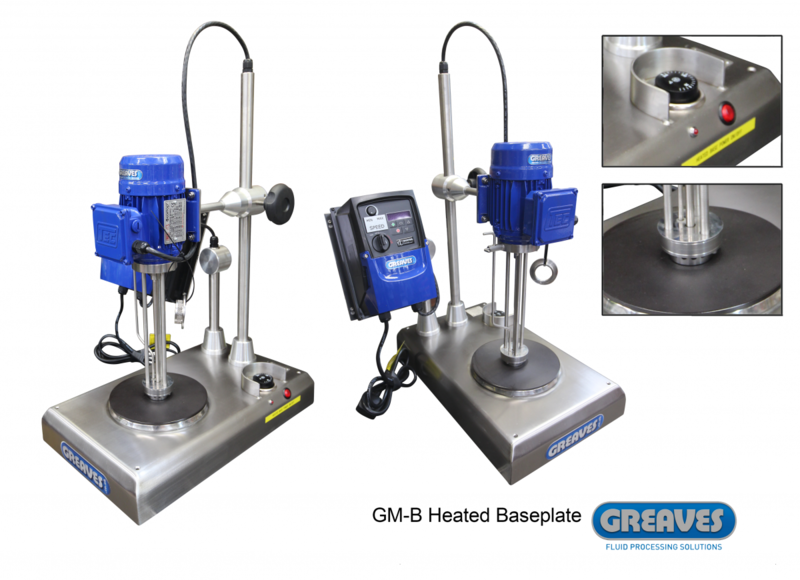 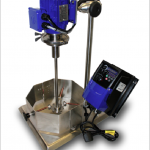 Thermal induction to the mixing using oil or steam jackets allow accurate temperature reactions to occur or simple heated ceramic baseplates can be specified if temperature tolerances are not as critical.